Kao Soi (or khao soi) is typically found in northern Thailand, Chiang Mai are. This is heavy with coconut milk and usually served with fresh egg noodle (ba mee in Thai) but you can use spaghetti or egg fettuccine noodles with good result. Simply get out your wok, add 1/2 cup coconut milk together with this packet. Fry until fragrant then add meat of your choice (beef or chicken suggested). Cook until meat is done then add two more cups of coconut milk and 3 cups of water. Lower heat and simmer. Serve with noodles, add soy sauce, lime juice and chile pepper to taste. A convenient envelope packet, enough to make one large serving. 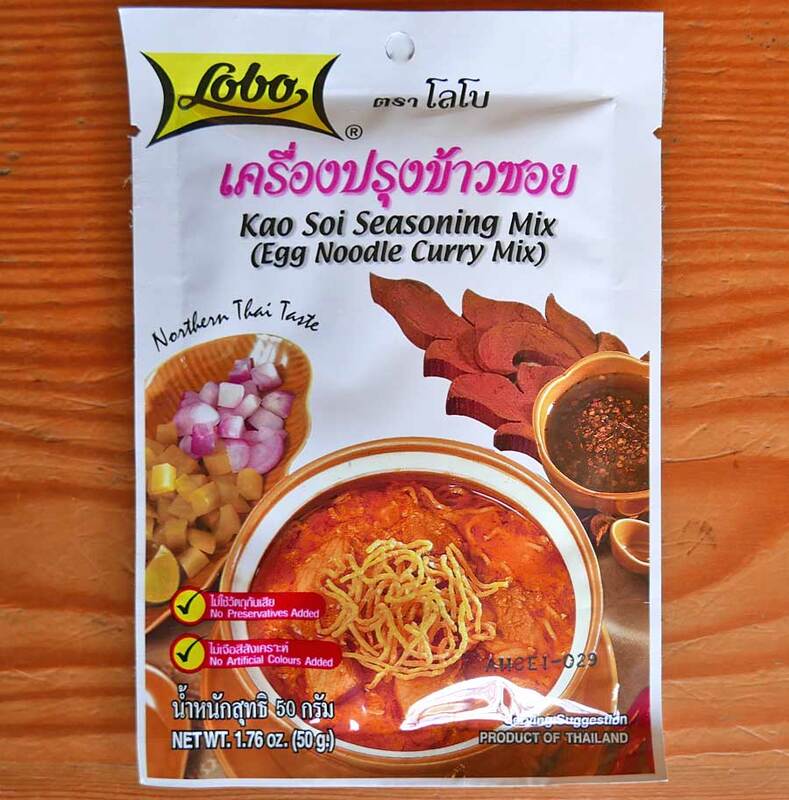 Ingredients: Spices, sugar, salt, msg, curry powder and citric acid (no artificial color or preservatives).